Toyota was the top-selling car brand in Japan during the first quarter of 2019. The Nissan Note was the most-popular model and the Honda N-Box the favorite kei mini-car. 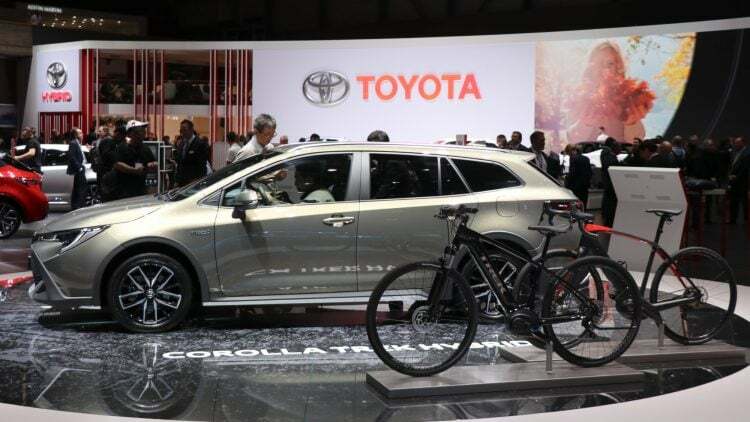 Toyota increased car sales in Japan during the first quarter of 2019 to gain some market share in a flat market. Honda was again the second largest carmaker in Japan while both Suzuki and Daihatsu overtook Nissan. The Nissan Note was again Japan’s favorite car model ahead of the Toyota Prius and Toyota Aqua. Japan’s favorite mini-car was again the Honda N-Box that sold in higher volumes than the Nissan Note. New motorized vehicle registrations in Japan during the first quarter of 2019 contracted by 0.8% to 1,528,213 vehicles including passenger cars, buses and heavy commercial vehicles. This was only 12,000 fewer cars than registered during the first three months of 2018. Toyota and Honda maintained their traditional positions as the largest carmakers in Japan during the first three quarters of 2019. Both increased sales slightly compared to a year ago. Suzuki and Daihatsu made stronger gains and each improved one rank position. Suzuki was the most-improved of the larger Japanese carmakers. Nissan sales were down by nearly a tenth and slipped from third to fifth. Mazda and Subaru also had much weaker sales but retained their relative rank positions. Mitsubishi sales were weaker but better than market average. Commercial vehicle manufacturers Isuzu and Hino had stronger sales – generally a good sign for the Japanese economy. UD Trucks also did well but Mitsubishi Fuso had weaker sales. Lexus slipped out of the top ten with weaker sales. Mercedes Benz remained the top car importer in Japan despite weaker sales. Volkswagen sales were slightly higher and BMW slightly weaker. BMW’s Mini brand moved ahead of Audi despite weaker sales. Audi sales in Japan were down by more than a third – by far the worst performance of the top 25 car brands in Japan. Porsche also had a dismal start to the year in Japan. For the second consecutive year, the top four best-selling cars in Japan during the first three months of the year were unchanged. The Nissan Note was again the top-selling car model in Japan although sales of Japan’s favorite car were down by a tenth. The Toyota Prius was again the second most-popular car model in Japan at the start of 2019 with sales virtually unchanged from a year ago. The Toyota Aqua and Nissan Serena sold in slightly higher volumes than a year ago. The Toyota Sienta improved two rank positions while the Toyota Voxy slipped one. The Honda Freed moved up one position. The evergreen Toyota Corolla re-entered the top-ten list while the aging Honda Fit slipped from sixth to ninth. The Toyota Roomy entered the top-ten list in 2019. The Toyota C-HR and Vitz dropped out of the top ten. 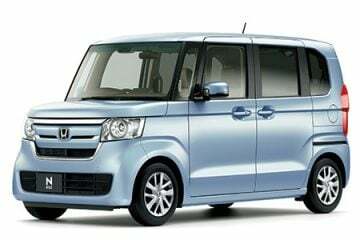 Kei or mini cars remain hugely popular in Japan with the Honda N-Box far outselling the Nissan Note during the first quarter of 2019. The Honda N-Box was also the top-seller in the previous two years. The Suzuki Spacia replaced the Nissan Days as the second most-popular mini car in Japan thus far this year. The star performer was the Suzuki Jimny that more than doubled sales from a year ago.